21st Century Fox can proceed with its planned takeover bid for Sky, provided it sells the pay-TV broadcaster's news division, the UK government announced on Tuesday. UK culture minister Matt Hancock said the deal can move forward if Sky News is sold to a suitable third party. Regulators had been concerned that ownership of Sky News would give Rupert Murdoch and his family too much influence over UK media. Hancock also announced that a £22 billion ($29 billion) bid for Sky from Comcast (CMCSA) would be allowed to proceed. The next development could be a bidding war for a broadcaster that owns lucrative sports rights and movie channels. 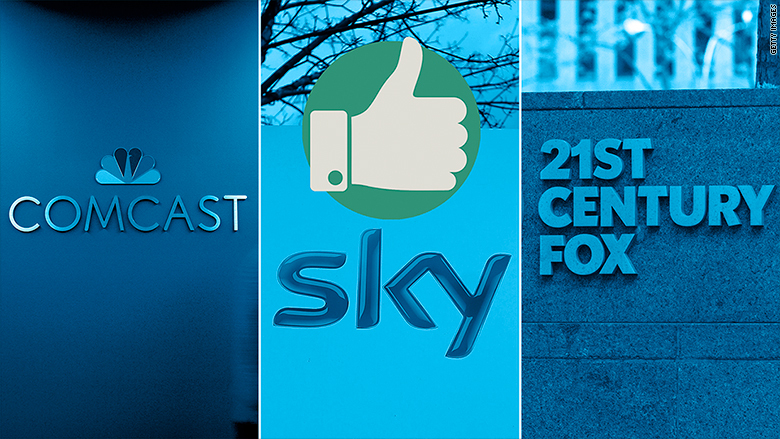 Comcast has offered to pay £12.50 ($16.70) per share for Sky (SKYAY), topping Fox's (FOX) bid of £10.75 ($14.40). Investors are clearly hoping for more: Sky shares rose on Tuesday to trade at £13.60 ($18.20). Sky is a leader in pay-TV services in the United Kingdom, and other regional markets including Germany and Italy. It sells broadband and mobile phone services. The broadcaster has proven to be an attractive takeover target for US media companies that are seeking to expand their international operations in order to help fend off challenges from tech upstarts such as Amazon (AMZN) and Netflix (NFLX). Fox had previously offered to sell Sky News to get regulatory approval for the deal. The most likely purchaser is Disney (DIS), which agreed last year to buy a major chunk of Fox assets including its existing 39% stake in Sky. In a statement issued Tuesday, Fox said it had already submitted proposals to the UK government detailing how it would pass along Sky News to Disney. "We now look forward to engaging with [the department] and we are confident that we will reach a final decision clearing our transaction," said Fox. Comcast declined to comment on whether another bid would be forthcoming. Sky said in a statement that its directors are "mindful of their fiduciary duties and remain focused on maximizing value for Sky shareholders." Investors expect a bidding war could now break out for Sky. 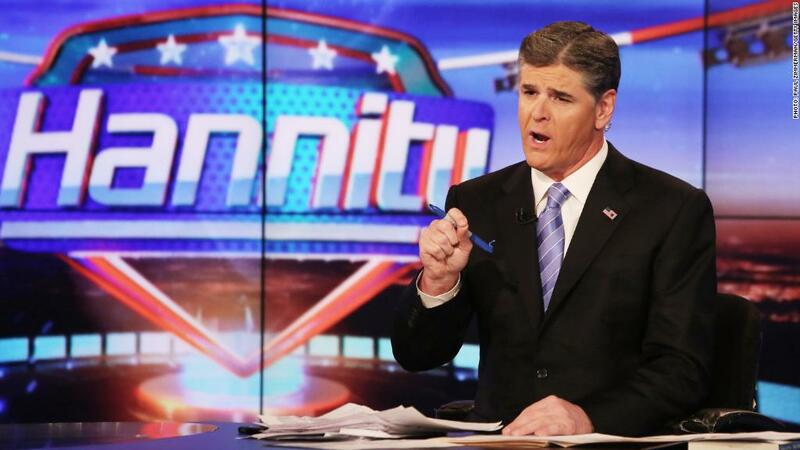 Fox's bid for Sky has been a hot political issue in Britain, where some politicians have pushed for closer examination of the Murdoch family following a series of scandals at the U.S. cable news channel, Fox News.